The first of a series of judicial installations has seen John Beckett QC, take his place on the bench with the title of Lord Beckett. The Lord President, Lord Carloway, presided over the ceremony in the First Division courtroom in Parliament House. He told Lord Beckett: “It gives me great pleasure on behalf of the bench and the Scottish Courts and Tribunals Service to welcome you as a Senator of the College of Justice. “You are the first of a cohort of new judges which will bring the bench back up to strength and alleviate the problems we have faced in the last year. 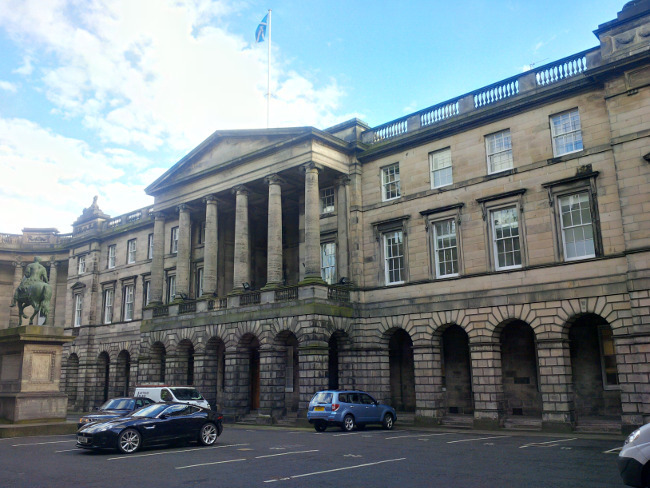 Last week, it was announced that five new Senators had been appointed, the others being Ailsa Carmichael QC, Alistair Clark QC, Frank Mulholland, QC the outgoing Lord Advocate, and Andrew Stewart, QC. The installations of Mr Clark and Mr Stewart have been set for 24 and 31 May.